Ever since Chrisette Michele’s Grammy-Award winning sultry voice was introduced to the music world back in 2006, the soulful Rich Hipster and R&B diva has been busy with her upcoming projects. Although currently touring, Chrisette Michele is putting her hands into various artistic endeavors like the true artist she is. As an artist who lives outside the box, Chrisette Michele breaks the boundaries of culture and barriers. Influenced by her fascination of hipster culture, she launched her fashion line and website RichHipster.Biz on Aug. 11. The site features photographs she has taken of different types of hipster culture. These photographs are found on the Rich Hipster T-shirt line. “Rich Hipster”, is a term she coined for people who believe they are “rich at heart and rich at art.” Truly, rich hipster personifies who she is. Chrisette Michele most recently appeared as one of the divas on the TV One reality show R&B Divas: L.A., which includes other divas, Li’l Mo, Claudette Ortiz, Chante Moore, Michel’le, and LeeLa James. Growing up listening to alternative rock, and later getting into R&B after entering the music industry, Chrisette Michelle quickly learned to become a diva by Patti LaBelle. 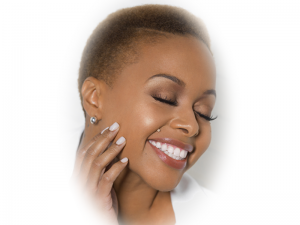 From touring for eight straight years and into the limelight of reality television, Chrisette Michele opens up her private life to showcase herself to who she is outside of music and the idea of who Chrisette Michele is. 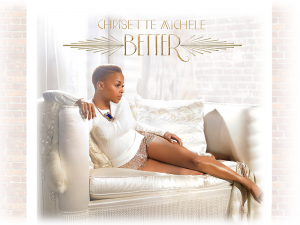 Check out Chrisette Michele’s Grammy-nominated album “Better” and make sure to watch her on TV One’s R&B Divas: L.A. The gorgeous and sultry voice of Chrisette Michele is one to take note of.